Believe it or not, there’s more to Halloween than collecting pails of miniature candy bars and neon-colored lollipops. 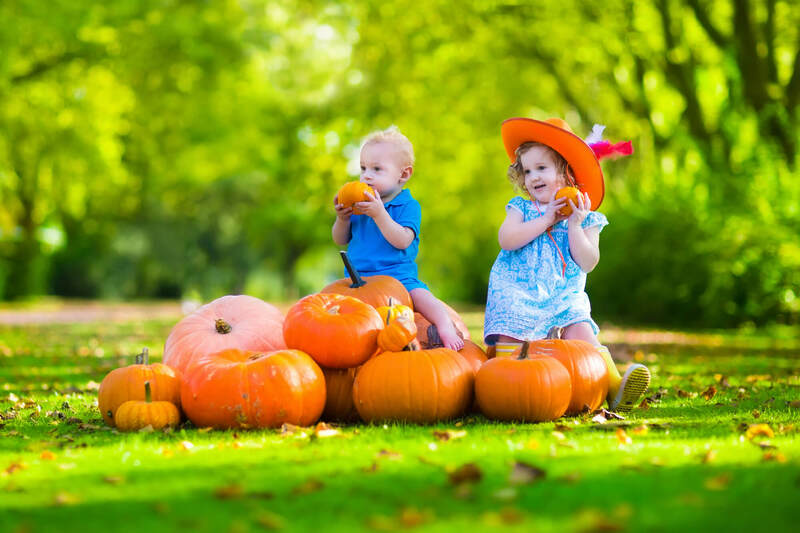 From cornfield maze adventures and pumpkin patch visits to making homemade apple cider, keep the kids busy with Halloween activities that aren’t focused on sugary treats this year. Here’s how! Consider cutting the door-to-door candy collecting time in half this year. Or, only visit the homes of relatives and close friends to keep the treats to a minimum. If you plan to venture out, look for houses with their porch light on, which generally means they have candy to give! If you have teenagers who feel awkward about collecting candy or an infant that can’t eat the treats anyway, skip trick-or-treating altogether and use the time to indulge in Halloween activities as a family. Step aside chocolates and gummies – there are events to attend and craft projects to tackle. Here are our favorite options this time of year. Decorate pumpkins. Carve silly faces, attach yarn hair or use markers to draw scary snaggle-tooth grins on pumpkins and gourds. Browse Pinterest to get the creativity flowing when celebrating Halloween without trick-or-treating. Explore a local farm. Many local farms, like Chatfield Farms, offer a range of Halloween-themed activities for the whole family. Find your perfect pumpkins in their pumpkin patch or wander through a corn maze searching for the hidden scarecrows. Plan a scavenger hunt. Make a list of seasonal items the kids have to find and snap photos of around the house or yard. A mask! A pumpkin! A black cat! The first one to bring back pictures of all the items wins bragging rights, and maybe a cape and crown to wear too. Visit a haunted house. Make your way through dark, creepy halls filled with the sights and sounds of Halloween. Go in costume and take a friend or two to hang on to if you tend to be a scaredy cat. Host a costume contest. Invite neighboring families over to show off their craziest outfits. Pair the evening with a backyard BBQ or ice cream social and award prizes to the best dressed, both in the kids and adults groups. Play night games. Invite neighbors over and let the kids roam the yard or local park with glow necklaces. We suggest playing flashlight tag, Marco Polo, or Red Rover in the moonlight. Tell ghost stories. Gather around the fire pit or fireplace and share the spookiest of tales while snuggling under warm blankets. The narratives can be from popular books or your imagination. Serve up some popcorn and cocoa too! We hope you have a spooktacular Halloween this fall at Copperleaf Community!